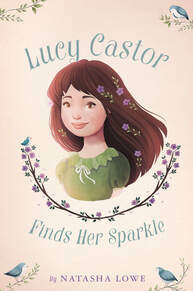 Lucy’s life is perfect and she doesn’t want to change a thing, but when she comes back from summer vacation she realizes that her best friend Ella has been doing a whole lot of changing and the girls don’t seem to have anything in common anymore. Worst of all Ella has stopped believing in magic, just as Lucy is sure she has seen a gnome in her cupboard! And when Lucy’s mother announces she is going to have another baby, it is more change than Lucy can cope with. She is convinced her parents don’t want her anymore. It takes the help of Chloe, a teenage Goth girl who lives next door, to show Lucy that there is indeed magic in the world, and that even when your whole life seems to be falling apart, change can actually be good thing!